For the first time, researchers have determined how bromodomain (BRD) proteins work in type 2 diabetes, which may lead to a better understanding of the link between adult-onset diabetes and certain cancers. The findings, which appear in PLOS ONE, show that reducing levels in pancreatic beta cells of individual BRDs, called BET proteins, previously shown to play a role in cancer, may also help patients who are obese and diabetic. The research was led by Gerald V. Denis, PhD, associate professor of pharmacology and medicine at Boston University School of Medicine, who was the first to show that BET protein functions are important in cancer development. Adult-onset diabetes has been known for decades to increase the risk for specific cancers. The three main members of the BET protein family, BRD2, BRD3 and BRD4, are closely related to each other and often cooperate. However at times, they work independently and sometimes against each other. According to the researchers new small molecule BET inhibitors have been developed that block all three BET proteins in cancer cells, but they interfere with too many functions. “The BET proteins provide a new pathway to connect adult-onset diabetes with cancer, so properly targeting BET proteins may be helpful for both,” explained Denis, who is the corresponding author of the study. He believes this discovery shows the need for deeper analysis of individual BET proteins in all human cell types, starting with boosting insulin and improving metabolism in the pancreas of adults who are obese. Wenxian Fu,1,†Julia Farache,1Susan M Clardy,2Kimie Hattori,1Palwinder Mander, et al. Epigenetic modifiers are an emerging class of anti-tumor drugs, potent in multiple cancer contexts. Their effect on spontaneously developing autoimmune diseases has been little explored. We report that a short treatment with I-BET151, a small-molecule inhibitor of a family of bromodomain-containing transcriptional regulators, irreversibly suppressed development of type-1 diabetes in NOD mice. The inhibitor could prevent or clear insulitis, but had minimal influence on the transcriptomes of infiltrating and circulating T cells. Rather, it induced pancreatic macrophages to adopt an anti-inflammatory phenotype, impacting the NF-κB pathway in particular. I-BET151 also elicited regeneration of islet β-cells, inducing proliferation and expression of genes encoding transcription factors key to β-cell differentiation/function. The effect on β cells did not require T cell infiltration of the islets. Thus, treatment with I-BET151 achieves a ‘combination therapy’ currently advocated by many diabetes investigators, operating by a novel mechanism that coincidentally dampens islet inflammation and enhances β-cell regeneration. The DNA inside a cell is often tightly wrapped around proteins to form a compact structure called chromatin. Chemical groups added to the chromatin can encourage nearby genes to either be switched on or off; and several enzymes and other proteins help to read, add, or remove these marks from the chromatin. If these chromatin modifications (or the related enzymes and proteins) are disturbed it can lead to diseases like cancer. It has also been suggested that similar changes may influence autoimmune diseases, in which the immune system attacks the body’s own tissues. Drugs that target the proteins that read, add, or remove these chromatin modifications are currently being developed to treat cancer. For example, drugs that inhibit one family of these proteins called BET have helped to treat tumors in mice that have cancers of the blood or lymph nodes. However, because these drugs target pathways involved in the immune system they may also be useful for treating autoimmune diseases. Now Fu et al. have tested whether a BET inhibitor might be a useful treatment for type-1 diabetes. In patients with type-1 diabetes, the cells in the pancreas that produce the insulin hormone are killed off by the immune system. Without adequate levels of insulin, individuals with type-1 diabetes may experience dangerous highs and lows in their blood sugar levels and must take insulin and sometimes other medications. Using mice that spontaneously develop type-1 diabetes when still relatively young, Fu et al. tested what would happen if the mice received a BET inhibitor for just 2 weeks early on in life. Treated mice were protected from developing type-1 diabetes for the rest of their lives. Specifically, the treatment protected the insulin-producing cells and allowed them to continue producing insulin. The drug reduced inflammation in the pancreas and increased the expression of genes that promote the regeneration of insulin-producing cells. Diabetes researchers have been searching for drug combinations that protect the insulin-producing cells and boost their regeneration. As such, Fu et al. suggest that these findings justify further studies to see if BET inhibitors may help to treat or prevent type-1 diabetes in humans. Acetylation of lysine residues on histones and non-histone proteins is an important epigenetic modification of chromatin (Kouzarides, 2000). Multiple ‘writers’, ‘erasers’, and ‘readers’ of this modification have been identified: histone acetyltransferases (HATs) that introduce acetyl groups, histone deacetylases (HDACs) that remove them, and bromodomain (BRD)-containing proteins that specifically recognize them. Chromatin acetylation impacts multiple fundamental cellular processes, and its dysregulation has been linked to a variety of disease states, notably various cancers (Dawson and Kouzarides, 2012). Not surprisingly, then, drugs that modulate the activities of HATs or HDACs or, most recently, that block acetyl-lysine:BRD interactions are under active development in the oncology field. BRDs, conserved from yeast to humans, are domains of approximately 110 amino-acids that recognize acetylation marks on histones (primarily H3 and H4) and certain non-histone proteins (e.g., the transcription factor, NF-κB), and serve as scaffolds for the assembly of multi-protein complexes that regulate transcription (Dawson et al., 2011; Prinjha et al., 2012). The BET subfamily of BRD-containing proteins (BRDs 2, 3, 4 and T) is distinguished as having tandem bromodomains followed by an ‘extra-terminal’ domain. One of its members, Brd4, is critical for both ‘bookmarking’ transcribed loci post-mitotically (Zhao et al., 2011) and surmounting RNA polymerase pausing downstream of transcription initiation (Jang et al., 2005; Hargreaves et al., 2009; Anand et al., 2013; Patel et al., 2013). Recently, small-molecule inhibitors of BET proteins, for example, JQ1 and I-BET, were found to be effective inhibitors of multiple types of mouse tumors, including a NUT midline carcinoma, leukemias, lymphomas and multiple myeloma (Filippakopoulos et al., 2010; Dawson et al., 2011; Delmore et al., 2011; Zuber et al., 2011). A major, but not the unique, focus of inhibition was the Myc pathway (Delmore et al., 2011; Mertz et al., 2011; Zuber et al., 2011; Lockwood et al., 2012). In addition, BET-protein inhibitors could prevent or reverse endotoxic shock induced by systemic injection of bacterial lipopolysaccharide (LPS) (Nicodeme et al., 2010; Seal et al., 2012; Belkina et al., 2013). The primary cellular focus of action was macrophages, and genes induced by the transcription factor NF-κB were key molecular targets (Nicodeme et al., 2010; Belkina et al., 2013). Given several recent successes at transposing drugs developed for cancer therapy to the context of autoimmunity, it was logical to explore the effect of BET-protein inhibitors on autoimmune disease. We wondered how they might impact type-1 diabetes (T1D), hallmarked by specific destruction of the insulin-producing β cells of the pancreatic islets (Bluestone et al., 2010). NOD mice, the ‘gold standard’ T1D model (Anderson and Bluestone, 2005), spontaneously and universally develop insulitis at 4–6 weeks of age, while overt diabetes manifests in a subset of individuals beginning from 12–15 weeks, depending on the particular colony. NOD diabetes is primarily a T-cell-mediated disease, but other immune cells—such as B cells, natural killer cells, macrophages (MFs) and dendritic cells (DCs)—also play significant roles. We demonstrate that a punctual, 2-week, treatment of early- or late-stage prediabetic NOD mice with I-BET151 affords long-term protection from diabetes. Mechanistic dissection of this effect revealed important drug influences on both MFs and β cells, in particular on the NF-κB pathway. On the basis of these findings, we argue that epigenetic modifiers are an exciting, emerging option for therapeutic intervention in autoimmune diabetes. T1D progresses through identifiable phases, which are differentially sensitive to therapeutic intervention (Bluestone et al., 2010). Therefore, we treated NOD mice with the BET-protein inhibitor, I-BET151 (GSK1210151A [Dawson et al., 2011;Seal et al., 2012]) according to three different protocols: from 3–5 weeks of age (incipient insulitis), from 12–14 weeks of age (established insulitis), or for 2 weeks beginning within a day after diagnosis of hyperglycemia (diabetes). Blood-glucose levels of insulitic mice were monitored until 30 weeks of age, after which animals in our colony generally do not progress to diabetes. I-BET151 prevented diabetes development, no matter whether the treated cohort had incipient (Figure 1A) or established (Figure 1B) insulitis. However, the long-term protection afforded by a 2-week treatment of pre-diabetic mice was only rarely observed with recent-onset diabetic animals. Just after diagnosis, individuals were given a subcutaneous insulin implant, which lowers blood-glucose levels to the normal range within 2 days, where they remain for only about 7 days in the absence of further insulin supplementation (Figure 1C, upper and right panels). Normoglycemia was significantly prolonged in mice treated for 2 weeks with I-BET151; but, upon drug removal, hyperglycemia rapidly ensued in most animals (Figure 1C, lower and right panels). The lack of disease reversal under these conditions suggests that β-cell destruction had proceeded to the point that dampening the autoinflammatory attack was not enough to stem hyperglycemia. However, there was prolonged protection from diabetes in a few cases, suggesting that it might prove worthwhile to explore additional treatment designs in future studies. I-BET151 inhibits diabetes and insulitis in NOD mice. Given that NOD diabetes is heavily dependent on CD4+ T cells (Anderson and Bluestone, 2005), and that a few recent reports have highlighted an influence of BET-protein inhibitors on the differentiation of T helper (Th) subsets in induced models of autoimmunity (Bandukwala et al., 2012; Mele et al., 2013), we explored the effect of I-BET151 treatment on the transcriptome of CD4+ T cells isolated from relevant sites; that is, the infiltrated pancreas, draining pancreatic lymph nodes (PLNs), and control inguinal lymph nodes (ILNs). Microarray analysis of gene expression revealed surprisingly little impact of the 2-week treatment protocol on any of these populations, similar to what was observed when comparing randomly shuffled datasets (Figure 2A). It is possible that the above protocol missed important effects on T cells because those remaining after prolonged drug treatment were skewed for ‘survivors’. Therefore, we also examined the transcriptomes of pancreas-infiltrating CD4+ T cells at just 12, 24 or 48 hr after a single administration of I-BET151. Again, minimal, background-level, differences were observed in the gene-expression profiles of drug- and vehicle-treated mice (Figure 2B). Little impact of BET-protein inhibition on CD4+T cells in NOD mice. I-BET151 treatment promotes an MF-like, anti-inflammatory transcriptional program in pancreatic CD45+ cells. The NF-κB signaling pathway is a major focus of I-BET151’s influence on NOD leukocytes. The studies presented here showed that treatment of NOD mice with the epigenetic modifier, I-BET151, for a mere 2 weeks prevented the development of NOD diabetes life-long. I-BET151 was able to inhibit impending insulitis as well as clear existing islet infiltration. The drug had a dual mechanism of action: it induced the pancreatic MF population to adopt an anti-inflammatory phenotype, primarily via the NF-κB pathway, and promoted β-cell proliferation (and perhaps differentiation). These findings raise a number of intriguing questions, three of which we address here. First, why do the mechanisms uncovered in our study appear to be so different from those proposed in the only two previous reports on the effect of BET-protein inhibitors on autoimmune disease? Bandukwala et al. found that I-BET762 (a small-molecule inhibitor similar to I-BET151) altered the differentiation of Th subsets in vitro, perturbing the typical profiles of cytokine production, and reducing the neuropathology provoked by transfer of in-vitro-differentiated Th1, but not Th17, cells reactive to a peptide of myelin oligodendrocyte glycoprotein (Bandukwala et al., 2012). Unfortunately, with such transfer models, it is difficult to know how well the in vitro processes reflect in vivo events, and to distinguish subsidiary effects on cell survival and homing. Mele et al. reported that JQ1 primarily inhibited the differentiation of and cytokine production by Th17 cells, and strongly repressed collagen-induced arthritis and experimental allergic encephalomyelitis (Mele et al., 2013). However, with adjuvant-induced disease models such as these, it is difficult to discriminate influences of the drug on the unfolding of autoimmune pathology vs on whatever the adjuvant is doing. Thus, the very different dual mechanism we propose for I-BET151’s impact on spontaneously developing T1D in NOD mice may reflect several factors, including (but not limited to): pathogenetic differences in induced vs spontaneous autoimmune disease models; our broader analyses of immune target cell populations; and true mechanistic differences between T1D and the other diseases. As concerns the latter, it has been argued that T1D is primarily a Th1-driven disease, with little, or even a negative regulatory, influence by Th17 cells (discussed in [Kriegel et al., 2011]). Second, how does I-BET151’s effect, focused on MFs and β cells, lead to life-long protection from T1D? MFs seem to play a schizophrenic role in the NOD disease. They were shown long ago to be an early participant in islet infiltration (Jansen et al., 1994), and to play a critical effector role in diabetes pathogenesis, attributed primarily to the production of inflammatory cytokines and other mediators, such as iNOS (Hutchings et al., 1990; Jun et al., 1999a, 1999b; Calderon et al., 2006). More recently, there has been a growing appreciation of their regulatory role in keeping diabetes in check. For example, the frequency of a small subset of pancreatic MFs expressing the complement receptor for immunoglobulin (a.k.a. CRIg) at 6–10 weeks of age determined whether or not NOD diabetes would develop months later (Fu et al., 2012b), and transfer of in-vitro-differentiated M2, but not M1, MFs protected NOD mice from disease development (Parsa et al., 2012). One normally thinks of immunological tolerance as being the purview of T and B cells, but MFs seem to be playing the driving role in I-BET151’s long-term immunologic impact on T1D. Chronic inflammation (as is the insulitis associated with T1D) typically entails three classes of participant: myeloid cells, in particular, tissue-resident MFs; lymphoid cells, including effector and regulatory T and B cells; and tissue-target cells, that is, islet β cells in the T1D context. The ‘flavor’ and severity of inflammation is determined by three-way interactions amongst these cellular players. One implication of this cross-talk is that a perturbation that targets primarily one of the three compartments has the potential to rebalance the dynamic process of inflammation, resetting homeostasis to a new level either beneficial or detrimental to the individual. BET-protein inhibition skewed the phenotype of pancreatic MFs towards an anti-inflammatory phenotype, whether this be at the population level through differential influx, efflux or death, or at the level of individual cells owing to changes in transcriptional programs. The ‘re-educated’ macrophages appeared to be more potent at inhibiting T cell proliferation. In addition, it is possible that MFs play some role in the I-BET151 influences on β-cell regeneration. The findings on Rag1-deficient mice ruled out the need for adaptive immune cells in the islet infiltrate for I-BET151’s induction of β-cell proliferation, but MFs are not thought to be compromised in this strain. Relatedly, the lack of a consistent I-BET151 effect on cultured mouse and human islets might result from a dearth of MFs under our isolation and incubation conditions (e.g., [Li et al., 2009]). Several recent publications have highlighted a role for MFs, particularly M2 cells, in promoting regeneration of β cells in diverse experimental settings (Brissova et al., 2014; Xiao et al., 2014), a function foretold by the reduced β-cell mass in MF-deficient Csf1op/op mice reported a decade ago (Banaei-Bouchareb et al., 2004). Whether reflecting a cell-intrinsic or -extrinsic impact of the drug, several pro-regenerative pathways appear to be enhanced in β-cells from I-BET151-treated mice. Increased β-cell proliferation could result from up-regulation of the genes encoding Neurod1 (Kojima et al., 2003), GLP-1R (De Leon et al., 2003), or various of the Reg family members (Unno et al., 2002; Liu et al., 2008), the latter perhaps a consequence of higher IL-22R expression (Hill et al., 2013) (see Figure 6B and Supplementary file 4). Protection of β-cells from apoptosis is likely to be an important outcome of inhibiting the NF-κB pathway (Takahashi et al., 2010), but could also issue from enhanced expression of other known pro-survival factors, such as Cntfr (Rezende et al., 2007) and Tox3 (Dittmer et al., 2011) (see Figures 4 and 6B). Lastly, β-cell differentiation and function should be fostered by up-regulation of genes encoding transcription factors such as Neurod1, Pdx1, Pax6, Nkx6-1 and Nkx2-2. The significant delay in re-onset of diabetes in I-BET151-treated diabetic mice suggests functionally relevant improvement in β-cell function. In brief, the striking effect of I-BET151 on T1D development in NOD mice seems to reflect the fortunate concurrence of a complex, though inter-related, set of diabetes-protective processes. Lastly, why does a drug that inhibits BET proteins, which include general transcription factors such as Brd4, have such circumscribed effects? A 2-week I-BET151 treatment might be expected to provoke numerous side-effects, but this regimen seemed in general to be well tolerated in our studies. This conundrum has been raised in several contexts of BET-inhibitor treatment, and was recently discussed at length (Shi and Vakoc, 2014). The explanation probably relates to two features of BET-protein, in particular Brd4, biology. First: Brd4 is an important element of so-called ‘super-enhancers’, defined as unusually long transcriptional enhancers that host an exceptionally high density of TFs—both cell-type-specific and general factors, including RNA polymerase-II, Mediator, p300 and Brd4 (Hnisz et al., 2013). They are thought to serve as chromatin depots, collecting TFs and coordinating their delivery to transcriptional start-sites via intra-chromosome looping or inter-chromosome interactions. Super-enhancers are preferentially associated with loci that define and control the biology of particular cell-types, notably developmentally regulated and inducible genes; intriguingly, disease-associated, including T1D-associated, nucleotide polymorphisms are especially enriched in the super-enhancers of disease-relevant cell-types (Hnisz et al., 2013;Parker et al., 2013). Genes associated with super-enhancers show unusually high sensitivity to BET-protein inhibitors (Chapuy et al., 2013; Loven et al., 2013;Whyte et al., 2013). Second: although the bromodomain of Brd4 binds to acetyl-lysine residues on histone-4, and I-BET151 was modeled to inhibit this interaction, it is now known to bind to a few non-histone chromosomal proteins as well, notably NF-κB, a liaison also blocked by BET-protein inhibitors (Huang et al., 2009; Zhang et al., 2012; Zou et al., 2014). Abrogating specific interactions such as these, differing according to the cellular context, might be the dominant impact of BET inhibitors, a scenario that would be consistent with the similar effects we observed with I-BET151 and BAY 11–7082 treatment. Either or both of these explanations could account for the circumscribed effect of I-BET151 on NOD diabetes. Additionally, specificity might be imparted by different BET-family members or isoforms—notably both Brd2 and Brd4 are players in MF inflammatory responses (Belkina et al., 2013). According to either of these explanations, higher doses might unleash a broader array of effects. In the last decade, islet inflammation has emerged as a contributor to the loss of functional β cell mass in both type 1 (T1D) and type 2 diabetes (T2D). Evidence supports that over-nutrition and insulin resistance result in the production of proinflammatory mediators by β cells. In addition to compromising β cell function and survival, cytokines may recruit macrophages into islets, thus augmenting inflammation. Limited, but intriguing, data implies a role of adaptive immune response in islet dysfunction in T2D. Clinical trials validated anti-inflammatory therapies in T2D, while immune therapy for T1D remains challenging. Further research is required to improve our understanding of islet inflammatory pathways, and to identify more effective therapeutic targets for T1D and T2D. The current epidemic of T2D is closely associated with increases in obesity . Excessive energy balance results in insulin resistance that is compensated for by increasing insulin secretion. However, insufficient compensation results in T2D, which is characterized by the reduction in islet mass and function. In recent years, overwhelming evidence defines insulin resistance as a state of chronic inflammation involving both innate and adaptive immune responses . Although the presence of islet inflammation is acknowledged for autoimmune destruction of β cells in T1D, new data implicates overlapping pathogenesis between T1D and T2D. Epidemiologic studies suggest that obesity modifies the risk of T1D development [2, 3]. Importantly, small but seminal human studies have also provided evidences that anti-inflammatory therapy can improve glycemia and β cell function in T2D [4, 5]. Here, we focus on recent discoveries (past five years) to discuss the contribution of inflammatory pathways to islet dysfunction in T2D, and to provide updates on the pathogenesis of T1D. What triggers inflammation in islets under insulin resistance? Ample evidence from rodent and human studies indicates that in obesity, adipose tissue (AT) inflammation is a major source of pro-inflammatory mediators, and a primary response to excessive caloric intake. AT contributes to inflammation in obesity by means of increased mass, modified adipocyte phenotype, and increased infiltration of immune cells, which affects islet function through humoral and neuronal pathways [1, 6, 7]. In addition, it is noteworthy that pancreatic islets are under similar stress as adipocytes in T2D. The chronic inflammatory state of T2D is reflected in the elevation of circulatory cytokines that potentially affect islets as well as adipocytes [6, 8]. Both islets and adipocytes are exposed to excess glucose and lipids, especially free fatty acids (FFA). Over-nutrition forces adipose tissue to remodel and accommodate enlarged adipocytes, which results in endoplasmic reticulum (ER) stress, hypoxia, and mechanical stresses [9–11]. Under insulin resistance, insulin production increases to meet the high demand, resulting in the expansion of islet mass . Recent findings revealed that obesity is associated with the activation of inflammatory pathway in the hypothalamus, which may alter functions of AT and islets through neuronal regulation . Considering the multiple stressors potentially shared by AT and islets, it is plausible that islets exist also in a chronic inflammatory state, in T2D. 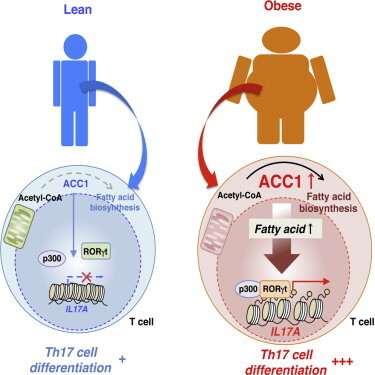 Adipose tissue dysfunction in obesity: a contributor to β cell inflammation in T2D? The relationship between the pancreatic islet and AT was thought to be unidirectional, by placing insulin secretion as the major determinant of adipocyte glucose uptake and triglyceride storage. However, several recent studies suggest that insulin resistance in AT significantly contributes to β cell failure, through altered secretion of humoral factors from adipocytes and signals from the adipocyte sensory nerve (Figure. 1) [6, 7]. Of particular interest are adipocytokines that are uniquely produced by adipocytes, such as leptin, adiponectin, omentin, resistin, and visfatin, which may contribute to β cell dysfunction during insulin resistance (Box 1). Circulating cytokines may also connect AT inflammation to β cell dysfunction. Overnight exposure of mouse islets to tumor necrosis factor-alpha (TNFα), Interleukin beta (IL-1β), plus Interferon-gamma (IFNγ), at levels comparable to those seen in human obesity, disrupts the regulation of intracellular calcium . Although glucose stimulated insulin secretion (GSIS) was maintained in this study, circulating cytokines might contribute to islet dysfunction after a prolonged period of exposure and when combined with other stresses . TNFα, a cytokine implicated in insulin resistance, reportedly increased islet amyloid polypeptide (IAPP, amylin) expression in β cells with no concurrent expression of proinsulin. This may lead to amyloid production and β cell death . Recent findings showed that the enzyme dipeptidyl peptidase-4 (DPPIV) is secreted by human adipocytes, and therefore may reduce the half-life of DPPIV substrate glucagon-like peptide-1 (GLP-1) with important implications on the insulinotropic effects of this gut peptide on the β cells . Although it is not clear if obesity is associated with increased levels of DPPIV, inhibition of the latter by sitagliptin in a rodent model of obesity and insulin resistance reduced inflammatory cytokine production both in islets and in AT, and improved glucose-stimulated insulin secretion (GSIS) in islets in vitro . Collectively, dysfunctional AT in obesity produces cytokines and peptides that affect islet health and potentially contribute to islet inflammation in T2D.